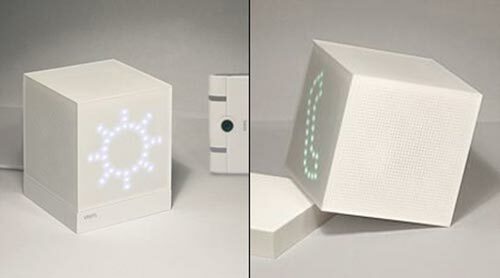 Check out this cool concept from designers Sohui Won, Seung-Hoon Kwak & Yeong-Kyu Yoo, the MCube. When you come home just place your mobile near the MCube. Using short range induction technology, your phone gets juiced up while all basic information like date/time, messages, and caller ID are transfered to the MCubes built-in display. Whats more, the touch controls on the MCube enable you to access your mobiles music files and pumps it out through built-in speakers via bluetooth. Who wants one? Although just a concept, I am sure is won’t be long until we similar devices, imagine if all your gadgets worked without wires.